Hanoi (VNA) – Philippine President-elect Rodrigo Duterte on May 15 reaffirmed his intent to realise his commitments during the presidential election in his first press conference since his victory. He said he will seek to return the death penalty, which was abolished in 2006 under then –President Gloria Arroyo, and allow security forces to kill suspects who evade arrest and those involved in organised crime. 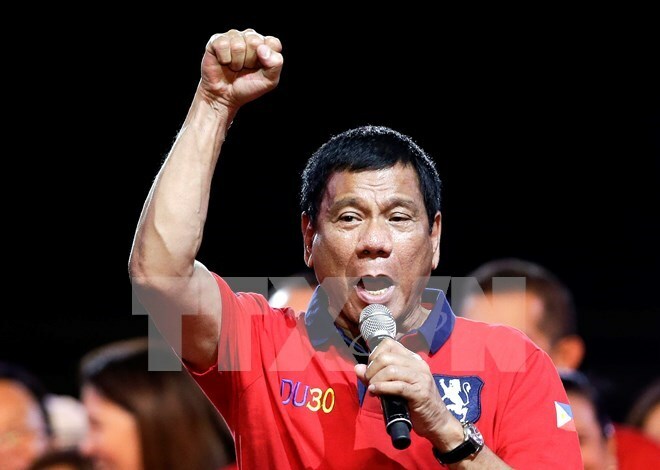 Duterte said he will order the police to arrest the parents of children found wandering on the streets beyond 10pm and implement a 2:00am curfew on drinking alcohol in public areas. Duterte is also quoted as saying that he wants to forge closer relations with China .